We get through so many stickers in our house so this week we decided to make our own. 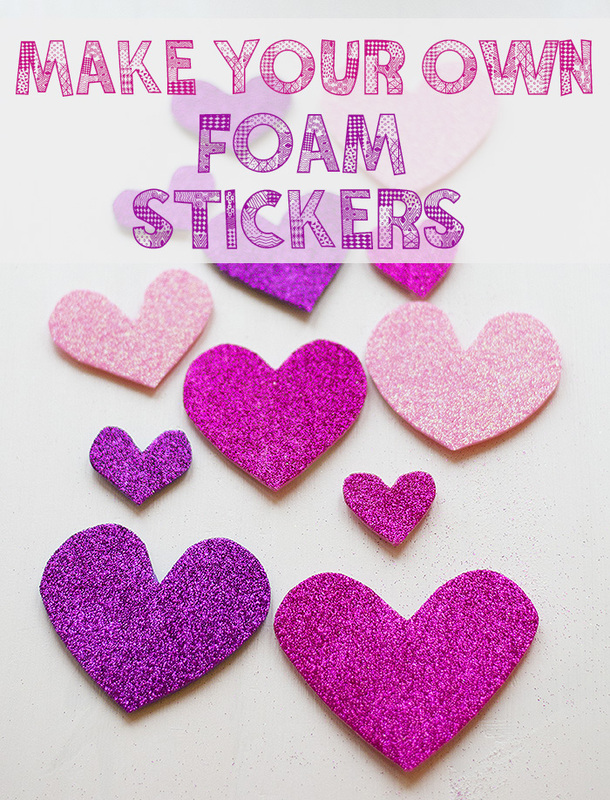 If you have any sheets of foam lying around then this is a really quick and easy way of making DIY stickers with them. Ours have a heart theme as it’s Valentine’s Day next week but we will be making some more soon using different colours and shapes. 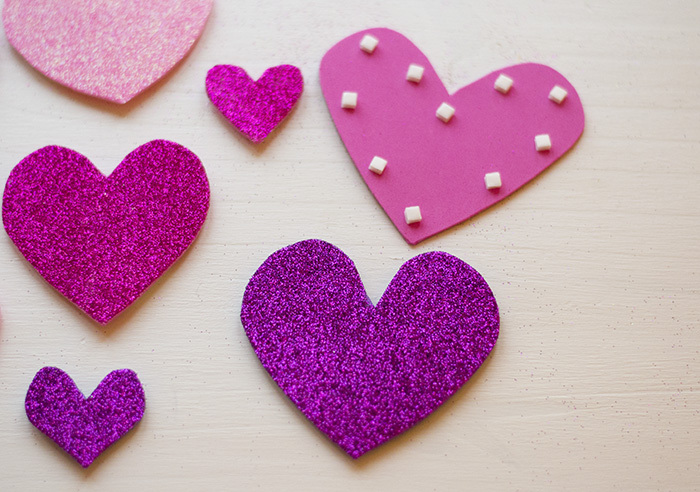 We simply cut out lots of hearts then stuck some of these sticky pads on the back. Cherry decided to decorate her kitchen with them. I did check the pads were easy to remove first so you might want to do the same to avoid finding sticky patches everywhere!